When visiting Indonesia, do not skip the opportunities to try its original foods. Indonesia is a country rich in cultural heritages, including traditional foods. Each of 33 provinces in Indonesia has its own specific food, but many of them have spread to other provinces and become famous in many areas. Forget fancy fine dining; it is time for you to hit simple local restaurants or cheap food stalls to get these unique foods. Sate (satay) buntal is one of Bali’s unique dishes besides betutu chicken and suckling pig. The word ‘buntal’ refers to the sate shape, which is not in small pieces of meat like the usual sate. Instead, sate buntal is made of finely chopped fish meat with spices, which are formed into one large lump orb bulge (‘buntalan’) using hands. The meat then attached on bamboo skewers and grilled. 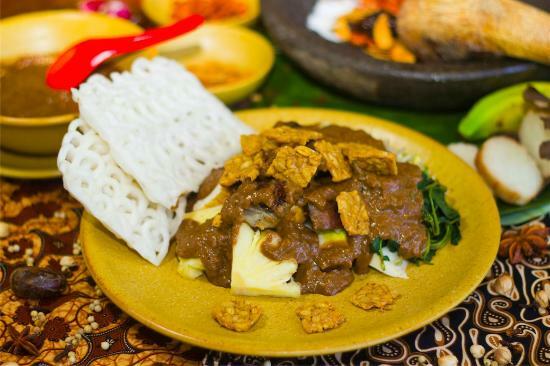 Gudeg is actually a famous and common dish in Yogyakarta Province in the center of Java; this is a rice dish eaten with stewed jackfruit, egg, chicken, sweet-savory spice and fried shaved coconut. However, Gudeg Kendhil is cooked in a clay pot (kendhil) and has hearty taste. Mie Aceh (Aceh Noodle) is a spicy noodle dish from Aceh province in western Indonesia. The dish uses egg noodles with thick broth, served with beef, goat meat, crab, squid or prawn. There is also fried noodle version, but most people love Mie Aceh with broth. 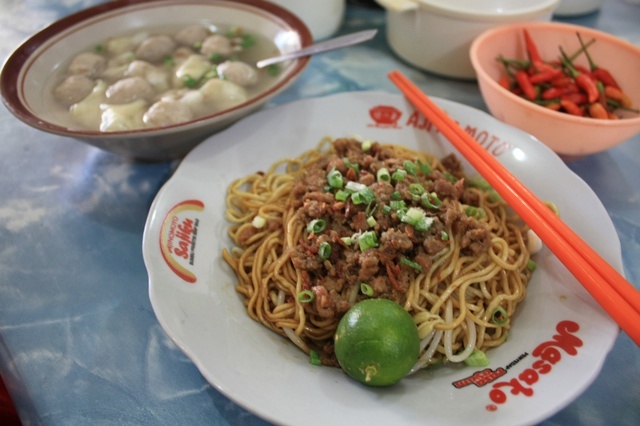 Mie Bangka (Bangka Noodle) is almost similar with Mie Aceh. It is also made from egg noodle. 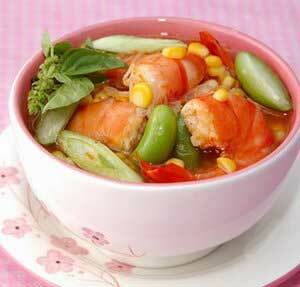 However, the broth is lighter, served with various seafood dishes. Gulai is a term for dish that is cooked with yellow coconut milk broth (the yellow color is from turmeric). Patin is a freshwater fish with soft meat that is very abundant in Jambi province. 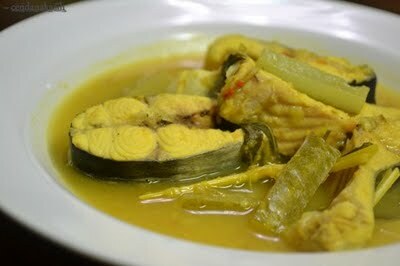 Gulai patin is usually cooked with coconut milk broth, but more traditional version uses fermented durian fruit flesh. Ayam Taliwang (Taliwang chicken) is a chicken dish from Lombok, West Nusa Tenggara. 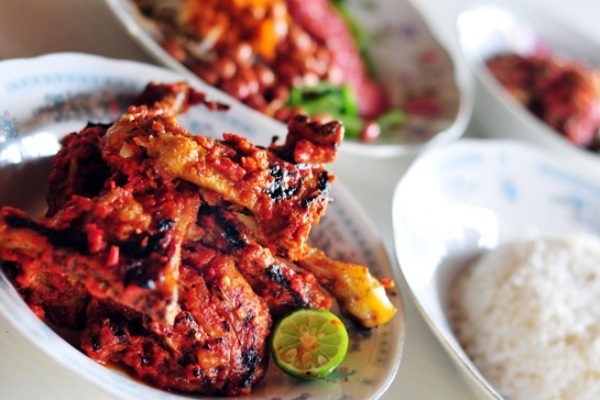 This dish is a set of fried or grilled spiced chicken served with white rice, fresh vegetable salad and chili paste. Usually, this dish served with really hot spice. This is a porridge dish from North Sulawesi. Tinutuan has become a staple food in many provinces, mainly because this dish is light and healthy. 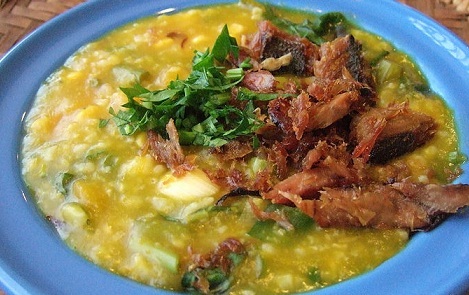 Tinutuan is rice porridge without any strong flavor, mixed with green vegetables and corn. 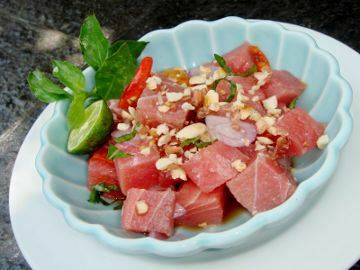 To complement its light flavor, Tinutuan is often served with salted dried fish, boiled corn, and chili paste. This is also a popular dish for breakfast. Gohu Ikan is a dish from Ternate, Maluku province, which is well known as ‘Ternate sashimi.’ This is because Gohu ikan is a raw tuna fish mixed with very strong and sharp spices, such as chili, red onion, garlic, lime and many more. This East Java dish is made of cow’s snout or tongue, mixed with cucumber, young mango flesh, soy cake, pineapple, bean sprout and long beans. It is eaten with special spice made of prawn paste, palm sugar, chili, salt and fried onion. Catemak Jagung (corn catemak) is a type of dessert porridge made of corn, pumpkin and green bean, which is very popular in East Nusa Tenggara. Although this is dessert, the porridge is rather savory than sweet.